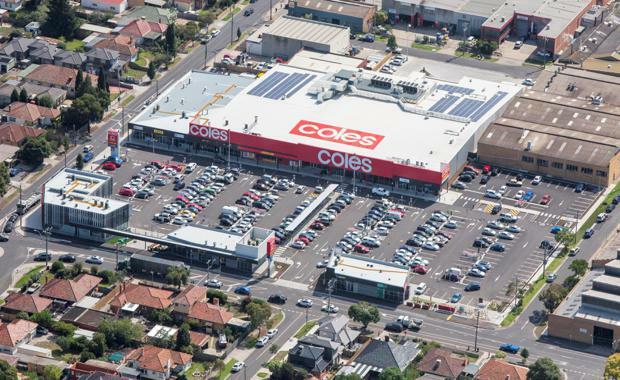 The newly developed Coburg North Village shopping centre recently sold for around $38 million on a fully leased record low yield of 4.94 per cent. Coles Group Property Developments sold the property to a Melbourne-based private investor. Savills Marketing agents Pat De Maria, Tom Forrest and Steven Lerche said the sale generated an unprecedented response with a record 300 enquiries and 27 offers to purchase from a range of privates (local and interstate), off-shore and institutional investors with 18 offers at a sub 6 per cent yield. "In this case the limited availability of quality retail investments and the high level of demand resulted in offers totalling an extraordinary $860 million and a genuine record sub 5 per cent yield for a fully leased neighborhood centre,’’ Mr De Maria said. Anchored by a flagship Coles Supermarket, on the corner of Gaffney and Sussex streets, the property is fully leased and comprises a 6,283 square metre GLA neighborhood centre on an 18,560 square metre site with four street frontages. It was sold with a new 15 year lease to Coles and Liquorland and an estimated net income of $1.87 million per annum. Mr Forrest said the astonishing market response was a reflection of the centres’ location including its demographic profile and growth potential, the fact that it was a brand new centre, and the strong lease profile with Coles Supermarket accounting for a major slice of the total income. Located just over nine kilometres north of Melbourne the centre opened in August 2015 and offers a state of the art, flagship full-line market-style Coles Supermarket and Liquorland of 4,175 square metres. The fully leased centre is further supported by 15 convenience based specialty retailers, including a medical centre and pharmacy, and provides sensor activated on-grade parking for 303 vehicles. The centre also benefits from a large main trade area accommodating in excess of 46,100 residents which is forecast to grow to 52,050 or 12 per cent by 2026.